Austin, Texas, November 12, 2015 — CynergisTek , an authority in health information security, privacy, and compliance, today announced that its CEO, Mac McMillan, has been elected to the board of trustees for the Association for Executives in Healthcare Information Security (AEHIS). In this role, McMillan will help the organization continue to evolve to meet member needs by providing ongoing healthcare information technology (HIT) security guidance. McMillan will also help inform policymakers and the public on key issues impacting the HIT industry. Launched in 2014 by the College of Healthcare Information Management Executives’ (CHIME), AEHIS is the first professional organization representing chief security officers (CSOs) in the healthcare setting, aiming to provide educational resources and support for addressing important industry-specific privacy and security issues. AEHIS also offers CSOs and other top-ranking information security leaders in healthcare opportunities for professional development and networking. McMillan’s position on the board of trustees is his latest contribution to AEHIS, coming on the heels of his keynote addresses on cybersecurity at the organization’s 2014 and 2015 breakout events. CynergisTek has also been a foundation member of AEHIS since 2014. McMillan is a nationally renowned expert in information security and regulatory compliance in healthcare, and contributes regularly to several industry trade publications, blogs and newsletters. He brings nearly 40 years of combined intelligence, security countermeasures and consulting experience from both government and private sector positions and has worked in the healthcare industry since his retirement from the federal government in 2000. The College of Healthcare Information Management Executives (CHIME) is an executive organization dedicated to serving chief information officers and other senior healthcare IT leaders. With more than 1,700 CIO members and over 150 healthcare IT vendors and professional services firms, CHIME provides a highly interactive, trusted environment enabling senior professional and industry leaders to collaborate; exchange best practices; address professional development needs; and advocate the effective use of information management to improve the health and healthcare in the communities they serve. For more information, please visit chimecentral.org. AEHIS is the only professional organization focused on supporting the healthcare industry’s security executive community. AEHIS provides professional development and educational resources on important healthcare security issues, as well as an environment where /security leaders can communicate with, inform and educate one another. For more information, please visit aehis.org. CynergisTek is a top-ranked information security and privacy consulting firm. The company offers solutions to help organizations measure privacy and security programs against regulatory requirements and assists in developing risk management best practices. Since 2004 the company has served as a partner to hundreds in the healthcare industry. 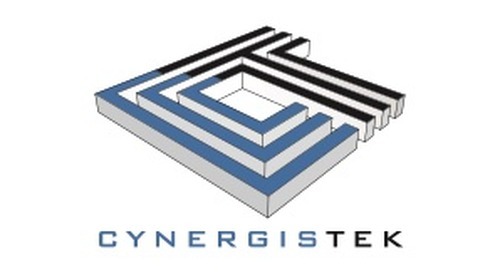 CynergisTek is also dedicated to supporting and educating the industry by contributing to relevant associations such as HIMSS, AHIMA, HFMA, HCCA, AHIA, AHLA, IAPP and CHIME. CynergisTek was recognized by KLAS®, as one of three firms provider organizations turn to most for privacy and security assistance in its groundbreaking report released in May 2014, entitled “Security and Privacy Perception 2014: High Stakes, Big Challenges.” For more information visit www.cynergistek.com, call 512.402.8550 or email info@cynergistek.com.